Have you ever felt that you need career advice, guidance on learning resources, or an expert opinion on which direction to take with your Dynamics 365 career? If the answer is yes, then please read on. We have a free Mentoring programme that may interest you. As a way to give back to the Microsoft Dynamics Community, myself and few other Dynamics 365 veterans have started the Microsoft Dynamics 365 Mentoring programme to help individuals move into the Dynamics 365 market and grow their skills and experience in this domain. The programme is open to everyone free of charge. However, please note that the programme is not a recruitment initiative, nor it is a way to receive free training, free consultancy or free Dynamics advice. The programme is solely focused on helping individuals move their career into Microsoft Dynamics and get access to the most suitable learning resources. Since we started it, the programme has received a fantastic response from the Dynamics community, with overwhelming interest from individuals and experts who want to be Mentees and Mentors. As we are currently laying the ground for the programme, setting up a new website, and building up our partnership with community portals and organisations, we are looking for everyone’s feedback – any suggestions and help to make this voluntary programme successful will be gratefully received. Mentoring will be mostly done remotely over Skype, phone calls, emails, etc. In some cases, a face to face meeting in a public café may be an option at a later stage. Our Mentors include Dynamics 365 industry leaders who have been working in this domain for many years and who have joined this programme to help and guide you, free of charge. 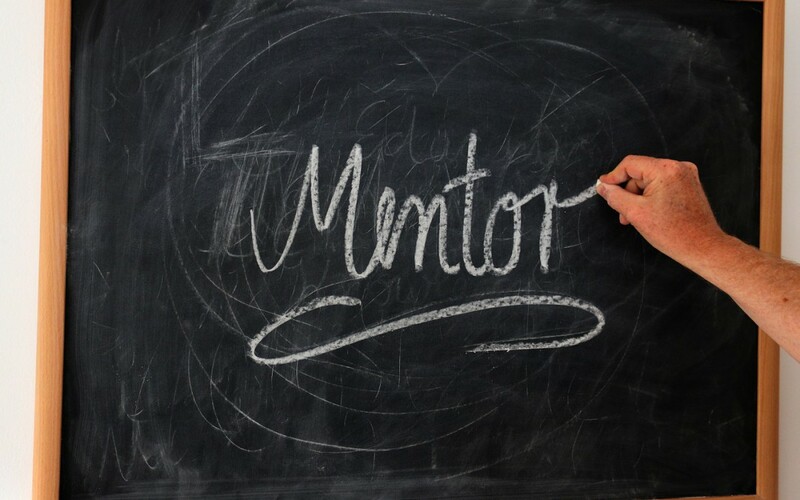 Mentoring is a rewarding experience for both the Mentee and also the Mentor. Mentees will get the chance to speak to their mentors about their career progression and which paths they should take to progress in the Dynamics market. Career advice on which graduate programmes, job opportunities or career path to pursue in the Dynamics 365 domain. Learning advice – for example looking at which sections of the Dynamics 365 Technology Platform are key to focus on or have shortage of consultants, etc. Give Mentees pointers towards resources for Dynamics 365 learning and development. Free consultancy, technical or functional advice or answering questions on how to build a solution or resolve an issue – please use the usual Dynamics forums to ask these questions. A way to ask Mentors for jobs in their companies. They will let you know if they have an opportunity for you but please don’t use the programme as a way to ask for a job. Not a free Dynamics 365 training route. This is a free career advice and mentoring not a Dynamics Training programme. Great specialised Microsoft training is available through 365 Talent Portal – click this link to see if you are eligible to access this resource. The programme is currently available for Mentees currently residing in the UK who are interested in moving into the Dynamics 365 CRM UK market and industry domain. However, we are working with Dynamics Community organisations to expand the programme to the rest of Europe, and worldwide, in the coming months. We will also be providing free resources and guidance on available training is provided as part of the programme. or via my blog: http://MohamedMostafa.co.uk. We will soon be publishing our Mentoring Programme website where Mentors and Mentees can apply to join the programme. However, for the time being please use either of the above two ways to be considered for the programme. In your message, please include a summary of your current status and what you expect to achieve from the programme. We will then be back to you with a proposed Mentor and more details on the programme approach, example questions and expected advice. Please note that joining the programme is subject to availability and we do not guarantee all applicants a Mentor. On the other hand, if you or your organisation are interested in helping the programme with ideas, feedback, resources or any other way you see useful, please also get in touch. The programme is run by the Dynamics community for the Dynamics community, so everyone is welcome to join and get involved. Looking forward to your input and messages. Mohamed is a Dynamics 365 veteran who has been focusing on Microsoft Dynamics CRM for more than 12 years since version 1.2. He has led and delivered Dynamics programmes across various Industries and Sectors leading both onshore and offshore teams. Mohamed is also a regular speaker on Dynamics CRM, Digital Transformation and Customer Technology Strategies. He started, and built from the ground up, the Dynamics CRM Practice for a Big 4 Management Consultancy in London. As a seasoned Architect, who has led and delivered large scale implementations of several thousand users, he currently focuses on helping his clients with their Dynamics Programmes providing both Technical Delivery Assurance and Specialist Implementation Services along with onshore and offshore development capabilities.